So of course I have wanted to read this book for some time. When I found a version of it on Audible with one of my favorite narrators, Scott Brick, on the list of voice actors in it I jumped on the chance to use my monthly credit and get my copy. The book surprised me, and then it surprised me again. I was very surprised to find that the book was incredibly boring. I have heard from friends that it's amazing, but I just couldn't get into it. I actually stopped reading it three separate times. I wanted to like the book so bad, but I could barely stand it. Up until a certain scene that is a ways into the story all you get is people talking. There are a couple scenes where some things happen, but mostly they're not doing anything. They are sitting or standing and talking. Talking about the world, its society, economy, philosophies, environments, prophecies - on and on and ON! I couldn't take it anymore so I stopped reading the book. Three times. Then I picked it up a fourth time. Lucky for me this fourth try reading Dune lead me to an awesome scene where some pretty intense action takes place. I've been reading the book for quite a while since then and I'm really enjoying it. The pacing has stayed at a better clip. When it does slow down I'm finding myself intrigued rather than bored. There have been many more awesome action scenes. I really like the characters now and I feel like I'm finally starting to understand the world. Now that I like the characters and want to know more about his crazy desert planet of Dune called Arrakis I'm enjoying the rich detail Frank Herbert put into his writing. So I was quite surprised to find myself enjoying the book after putting it down three times out of boredom. I was surprised to find myself thinking about it and wondering what the rest of the story holds over the weekend when I didn't have commute time to listen to more of the story. Have you read Dune? Did you stop reading it out of boredom or did it have you from page one? Is it your favorite book or one you don't care for much but respect for laying the way for future science fiction books you love? Join in the conversation in the comments! I'm always curious of what other people have to say about stories and why they do or do not like them. Thanks for stopping by! Dan, I was given the book as a gift when the movie was released. At 14 I wasn't ready for it, though I think the names and terms were the biggest initial hurdle for me. Herbert writes as though the reader was of that time and needs few explanations. I also had 3 tries to get through the book. Like you, at some point the story overwhelmed the lack of understanding and before I knew it I was tearing through it. As soon as it was done I bought the next 2 books and then the rest of the series. My favourite is God Emperor of Dune. Amazing series. I've yet to try any of the Herbert Jr sequels/prequels yet, though. Hey thanks Mick! I don't think I could have made it through the first chapter at age 14 :) I saw the movie in my early teens and had no clue what was going on. I also felt like an outsider looking in as a reader at first with all the strange names and things in the story. I'm so glad it finally clicked for me. I'm excited to see what will come of Paul Atreides and his family. Thanks for reading my post and for the comment Mick! It was really fun to read your experience with this book. 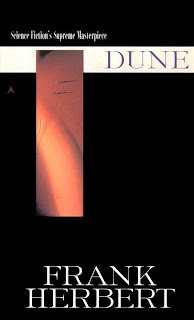 I read Dune when I was a teenager back in the early seventies. I was given two pearls of wisdom before reading it. First was that the beginning of the novel was setting the foundation for the rest of the novel and I should not give up on it, second was that I would be rewarded with the best science fiction novel ever written. 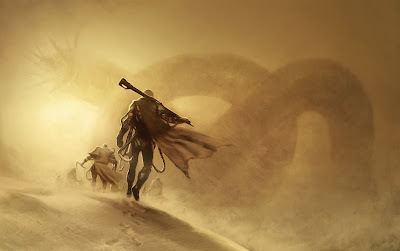 Dune was Frank Herbert’s epic masterpiece. None of his work before or after came close. The universe he created, the depth and diversity of the characters that populated that universe, the tightly interwoven fabric of the storylines, absolutely flawless. 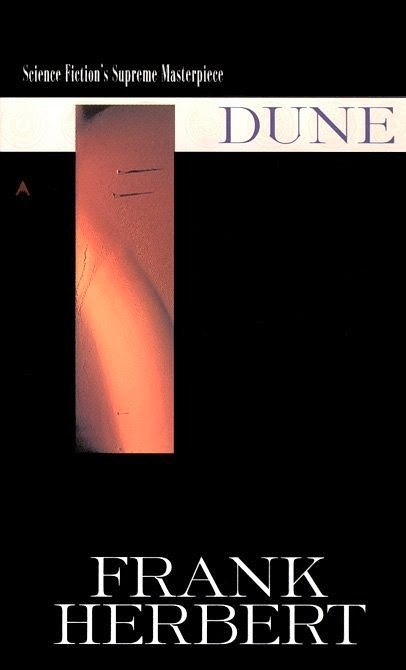 Dune is in my top five novels of all time. That's awesome David. Thanks for sharing!